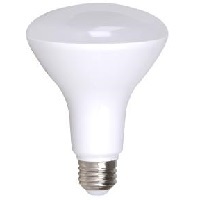 This item is design by Maxlite to be part of their LED BR Lamps G4 series with 90+ CRI. From only 11 watts you are able to receive 850 lumens for light output. The setting for this application is in dry or damp locations. For example it could be for architectural, residential, retail, office space, and hospitality setting. This product is energy star approved and comes with a 5 year warranty.